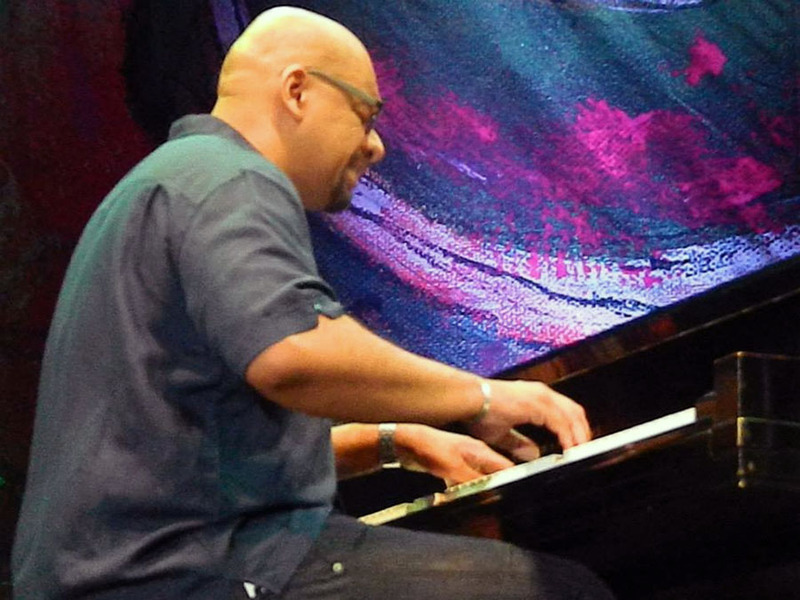 The 2014 edition of the Heineken Jazz Festival was a mix of music palettes starting with a familiar face to jazz aficionados in Puerto Rico, Venezuelan pianist Luis Perdomo. 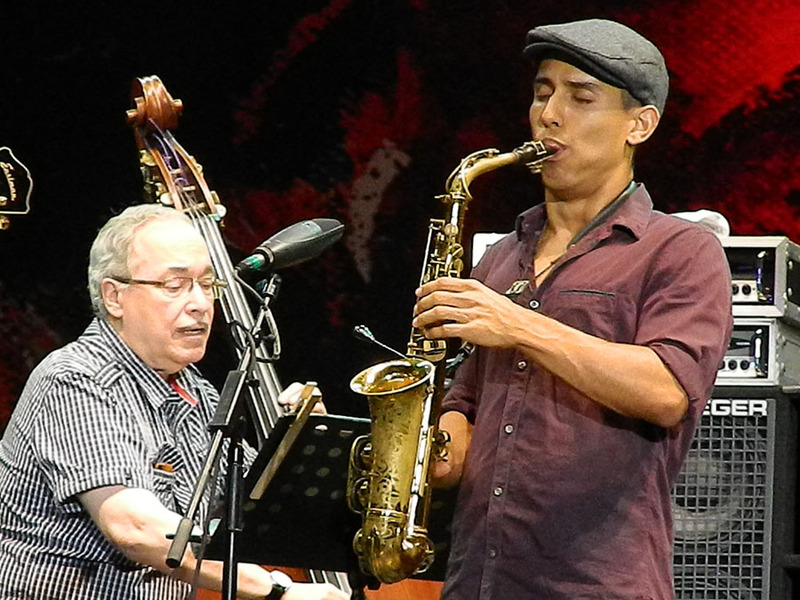 Most of the music Perdomo played was from the album The Infancia Project, compositions showcasing the Latin American music Perdomo grew up listening to in Venezuela, fused with different jazz styles. For this occasion Perdomo came with Russian bassist Boris Kozlov, Jamaican saxophonist Mark Shim and special guest, Cuban drummer legend Ignacio Berroa. Closing the first night with a Latin explosion, the music of singer and scatting extraordinaire Jerry Medina. Jerry Medina’s group for the night included some of the best musicians from Puerto Rico and Cuba. 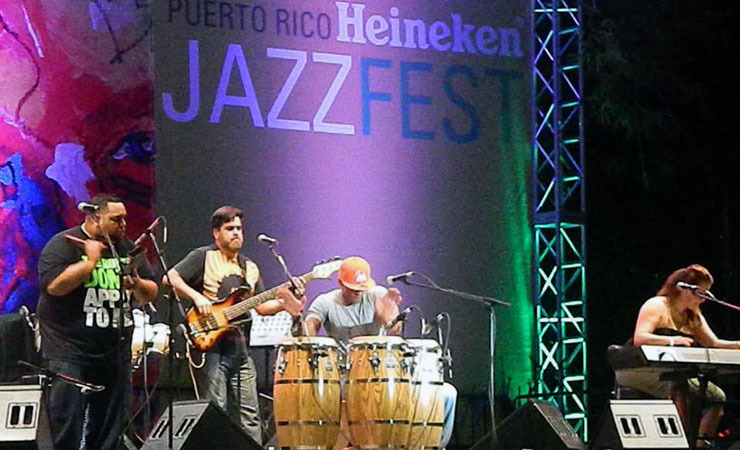 From Puerto Rico, drummer Tony Escapa, percussionists Diego Centeno and Héctor Barez, saxophonists Ricardo Pons and Frankie Pérez and trombonist Victor Vazquez. Also from Puerto Rico on vocals Juan Pablo Diaz, Wichy Camacho and Medina Carrión, and from Cuba, pianist Yancarlos Artime and bassist Ramón Vazquez. 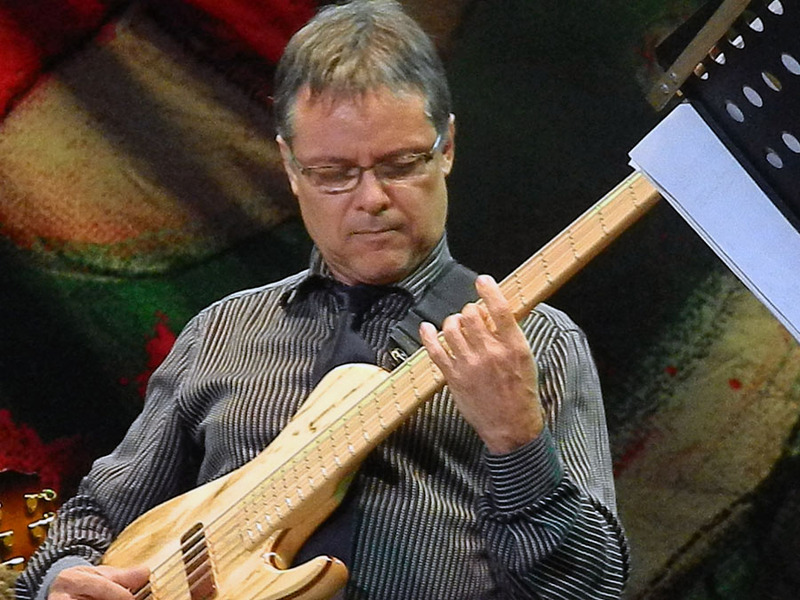 Puerto Rico bassist virtuoso and music educator Sammy Morales was the opening act of the Fest on its second night. Morales is one of the most respected names in the Puerto Rico jazz scene, a respect well deserved for his work as a music teacher, always giving a helping hand and opportunities to young musicians. 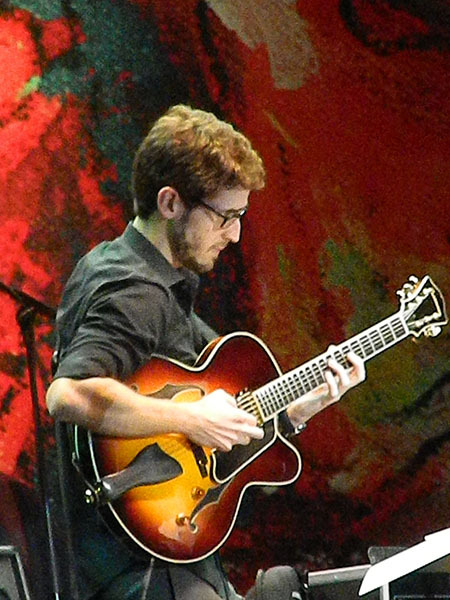 Morales’ group includes the present and the future of jazz in Puerto Rico; guitarist Gabriel Vicéns, pianist Ed Zayaz, and drummer Mario Pereira. 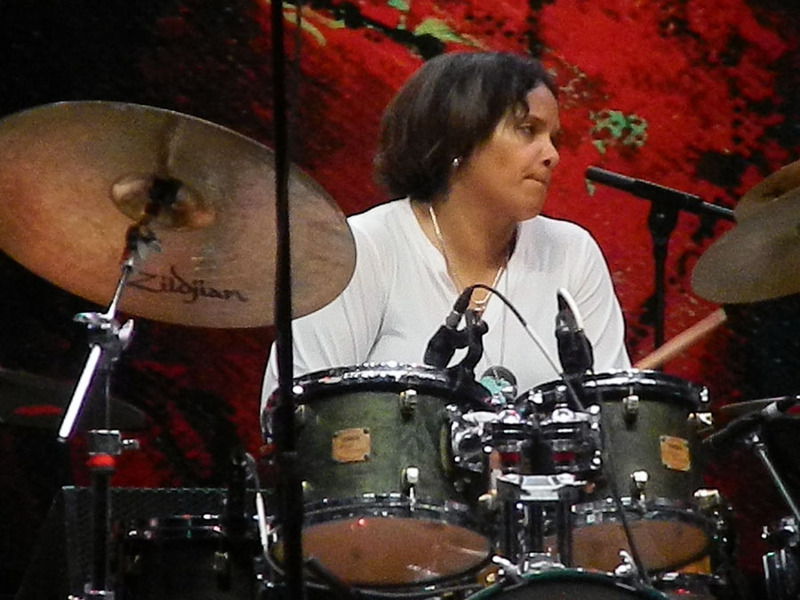 Terri Lyne Carrington, one of the biggest attractions of the Fest, was the second act on Friday night. 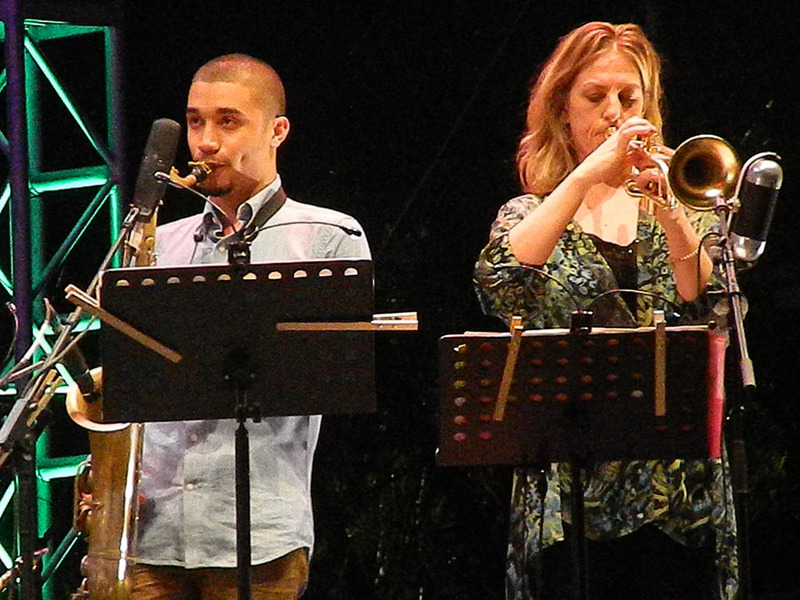 Carrington was accompanied by a group of mostly all women, except for bassist Joshua Hari and guitarist Mathew Stevens. 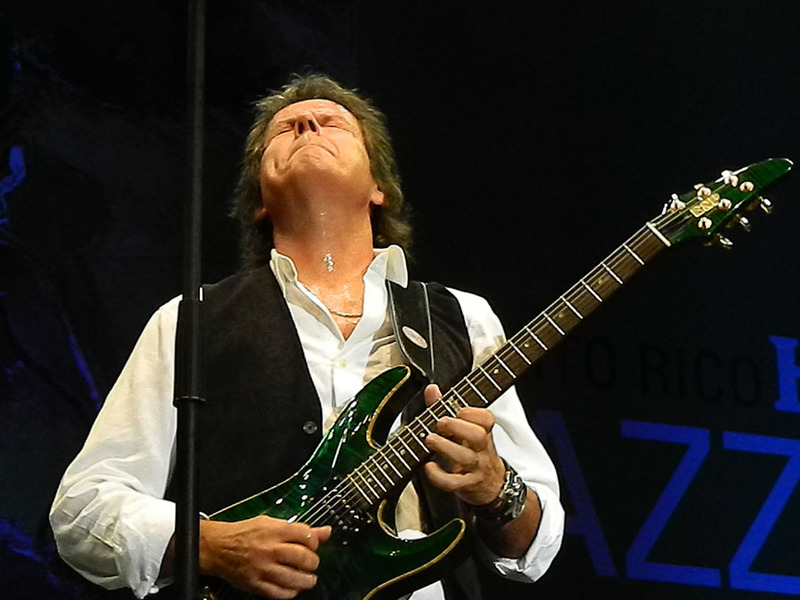 As expected, Carrington’s technique and powerful playing in “Mosaic” and “Insomniac” and the funky version of the classic “Body and Soul” captured the attention of the audience. 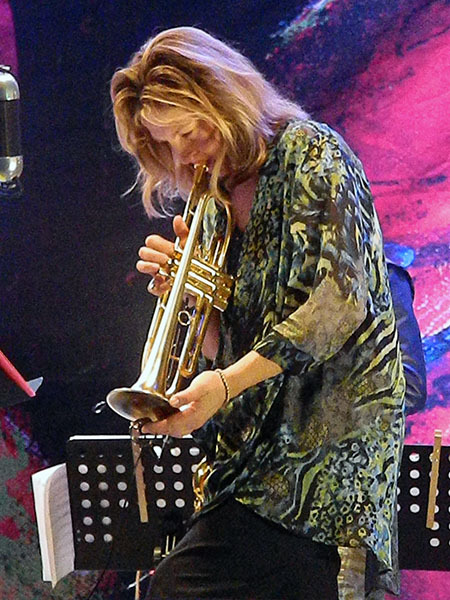 The other female musicians were equally impressive; the melodic and passionate improvisations of pianist Helen Sung, the flawless solos of saxophonist Tia Fuller, and the energy and virtuosity of trumpet player Ingrid Jensen. 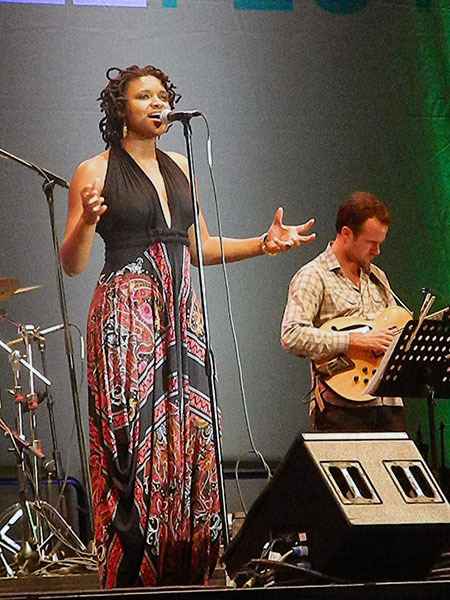 Special guest vocalist Lizz Wright added her soulful voice in the songs “Open your eyes, you can fly”, “Simply Beautiful”, “3 hours”, and on Ellington’s “Come Sunday” with special guest saxophonist Edmar Colón. 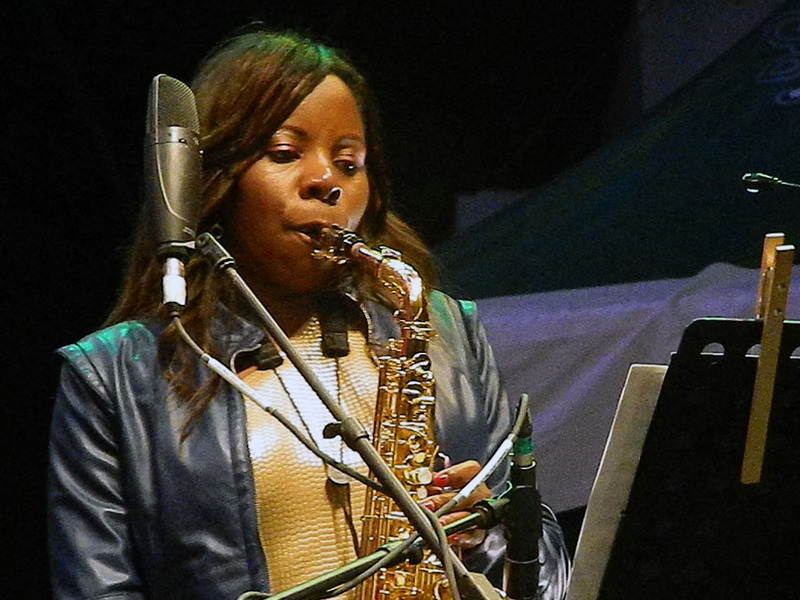 The night ended with one of the most energetic acts of the Heineken Jazz Fest in recent years, The Pedrito Martinez Group, featuring the powerful and beautiful voice of Ariacne Trujillo. 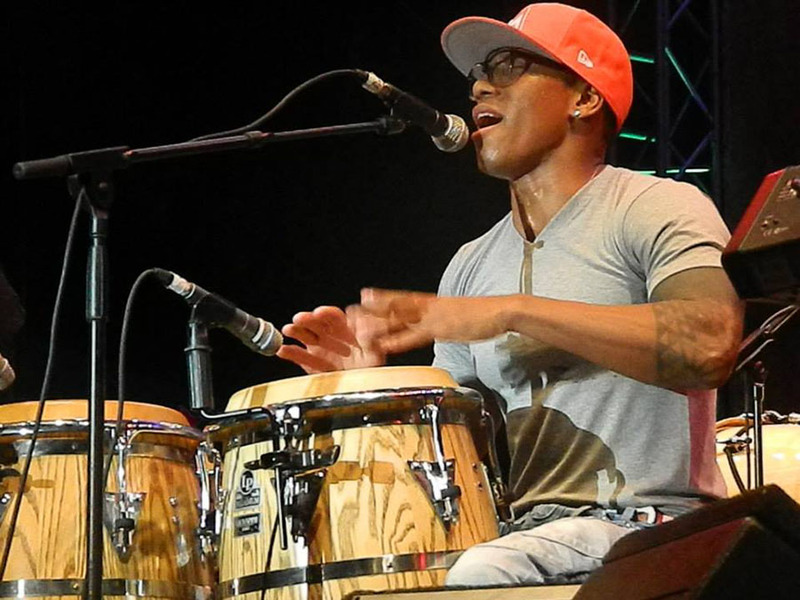 Just four members are part of this group, Pedrito Martinez on voice and fast hands on percussion, Ariacne Trujillo on voice and equally good on keyboard, Alvaro Benavides on bass and Jhair Sala on percussion, but the sound that came from the stage that night was so much bigger. 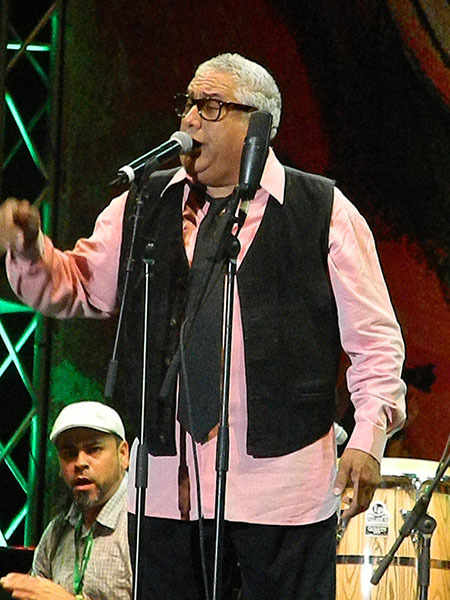 At the end Pedrito invited to the stage some Puerto Rican musicians from the audience; Jerry Rivas and Papo Vazquez (singers from the legendary Salsa group El Gran Combo), singer Jerry Medina and percussionist Paoli Mejias, among others. 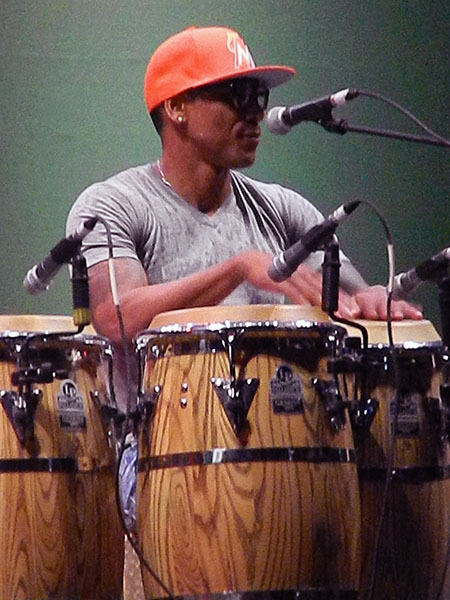 Gabriel Vicéns, who played with Sammy Morales on Thursday night, was the first act on Saturday night. 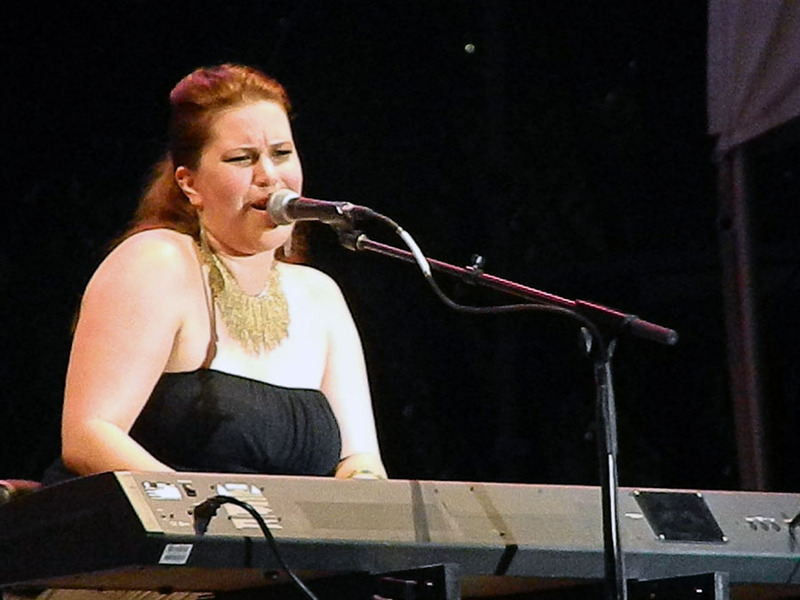 Vicéns is a perfect example of the amazing young talent coming out of the Puerto Rico Jazz scene. A musician with an impeccable technique and musical ideas reflecting a maturity that surpasses his age. 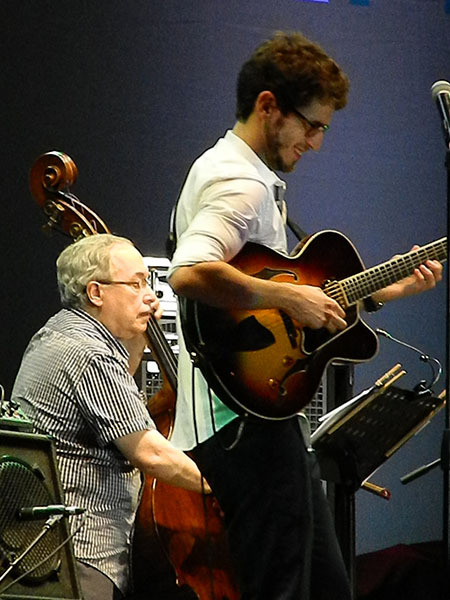 The members of Vicéns group are also a who’s who of the best young talent of the island, pianist Ed Zayaz, bassist Abiud Flores, drummer Leonardo Osuna and saxophonist Jonathan Suazo (who played on last year’s Fest as a leader of his own group). Vicéns and company played new themes probably a preview of his next album, “Doing Circles”, “Days”, and “Comprehend”. 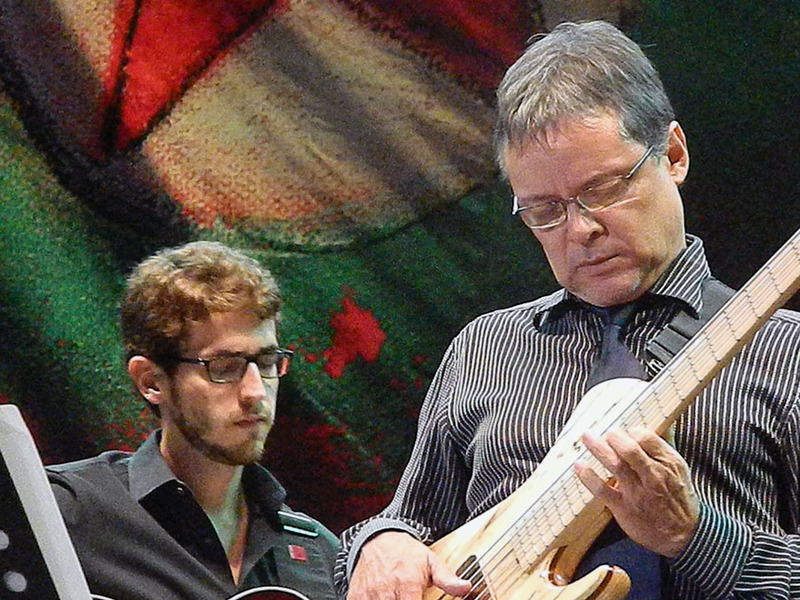 From his album Place in Time, Vicéns played “El Camino” and “Cuadro”, and for these ones he invited bassist legend Eddie Gómez, who also recorded in Vicéns Point in Time. As good as the Pedrito Martinez Group was on Friday night (and they were unbelievably good), Branford Marsalis was my favorite act of the Fest. 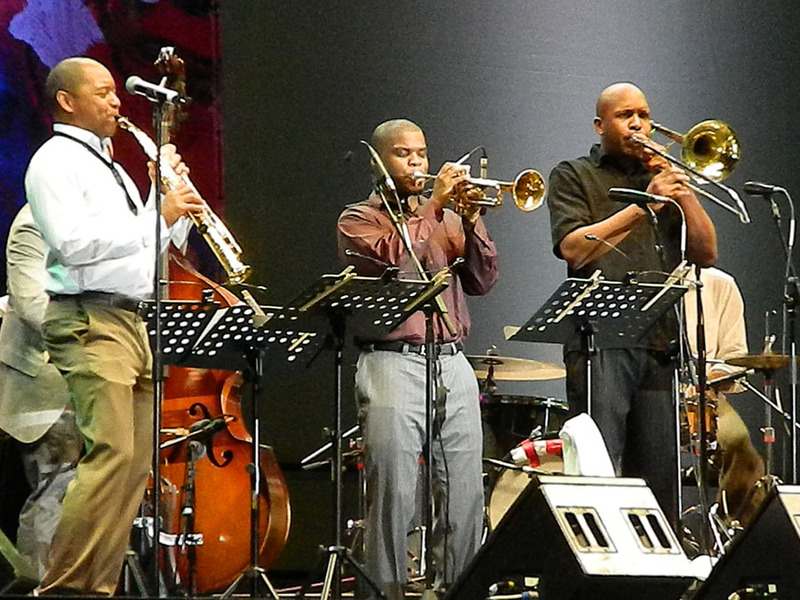 And the reason for this is the music Marsalis chose for the night, music from the infancy of Jazz in New Orleans. Classics as “Muskrat Ramble”, “The Shiek of Araby”, “Bourbon Street Parade”, Jelly Roll Morton’s “Black Bottom Stomp”, and “Tiger Rag”, the blues “Tin Roof Blues”, and Alphonse Picou’s “High Society”. 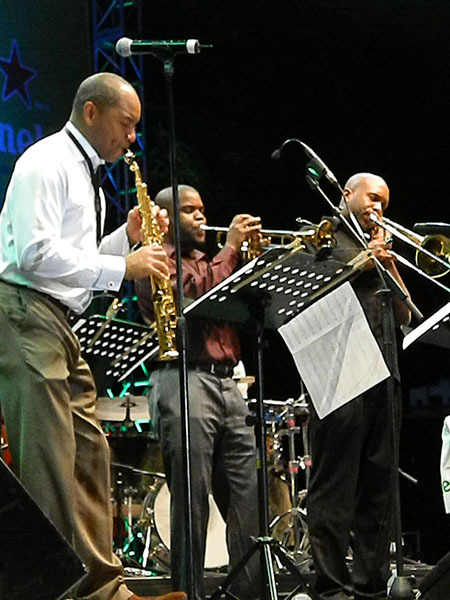 But it wasn’t just the music selection, but the unsurpassed energy and astonishing connection displayed by Marsalis and his group, trumpet player Lynn Grissett, trombonist Stephen Walker, pianist Ryan Hanseler, bassist Eric Revis and drummer Kobie Watkins that delighted the audience and at the same time educated them on the roots of Jazz. 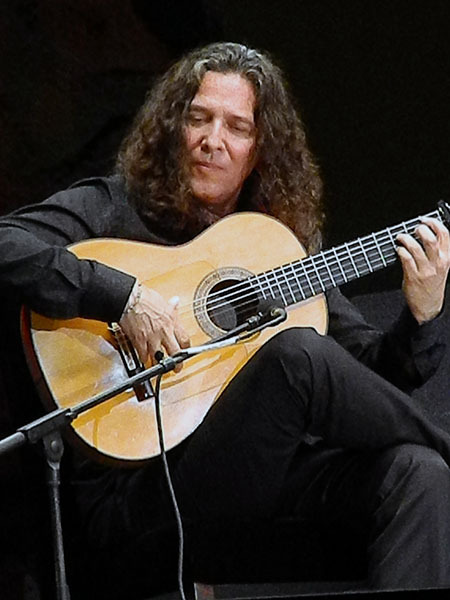 Saturday night closed with the virtuosity and elegance of Flamenco guitarist Tomatito, a totally different kind of music, giving the audience a diversity of colors and moods for the night. Tomatito took time to pay respect to the eternal Master of the Flamenco guitar Paco de Lucía. 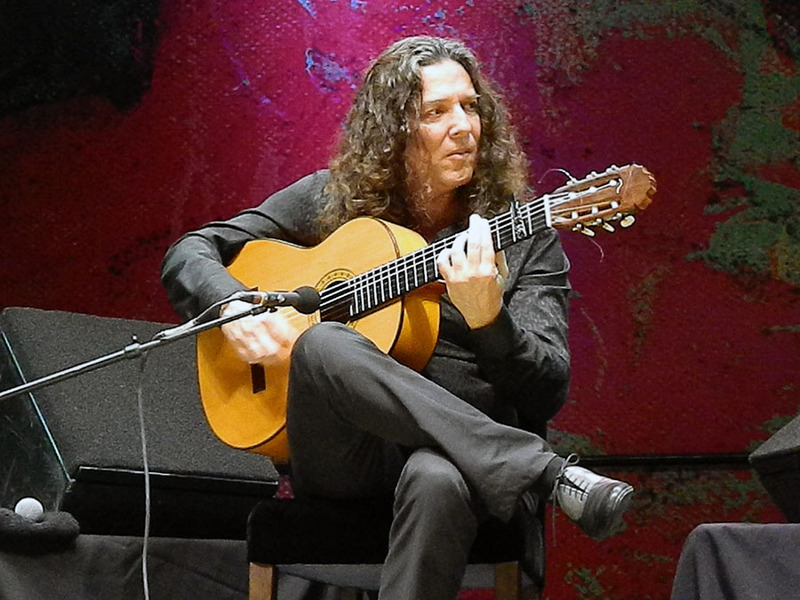 Even though all the musicians accompanying Tomatito (El Cristi and José del Tomate on guitars, Moisés Santiago on percussion, Kiki Cortiñas and Simón Román on vocals) did a great job on the themes “Alegrias”, “Bolero”, “Buleria” “Tango Argentino” and “Soléa”, the highlight of the act was the virtuosic bailaora (dancer) Paloma Fantova. Paloma enchanted the audience with her breathless energy and amazing technique. 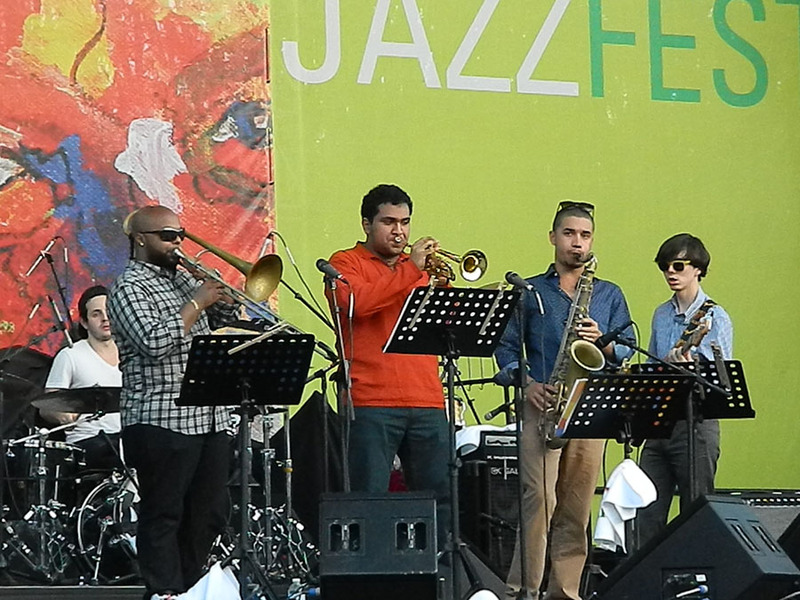 The last day as accustomed in the Fest, opened with the future of jazz, the students of Berklee School of Music. 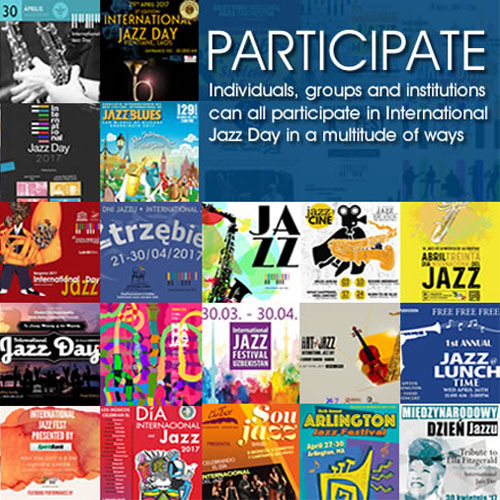 Students from Venezuela, drummer Manuel Lara, from Cuba, pianist Isaac Delgado Jr., from Ecuador, trumpet player Paul Sánchez and from Puerto Rico, bassist Louis Gasser, trombonist Fernando “Nanddy” López, guitarist Harold Trucco and saxophonist Edmar Colón. Masterfully directed by Master percussionist and Professor Eguie Castrillo the students played wonderful arrangements of “Children of the Night”, “The Beauty of it” and “Autumn Leaves”, making it clear that the future of jazz in Latin America is in very good hands. In every Fest there is always a pleasant surprise, an act that turns out to be better than expected. 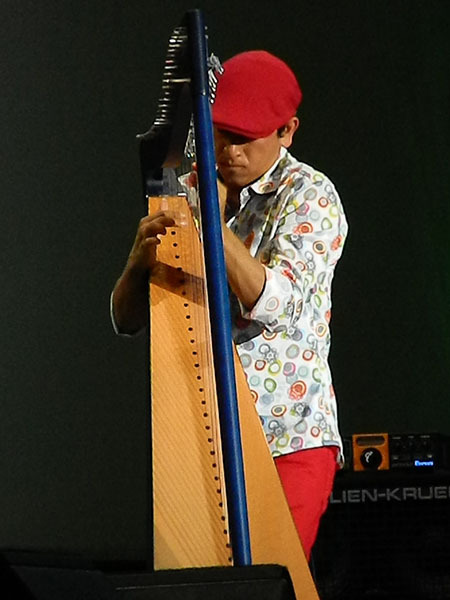 That was the case with Colombian harpist Edmar Castañeda. 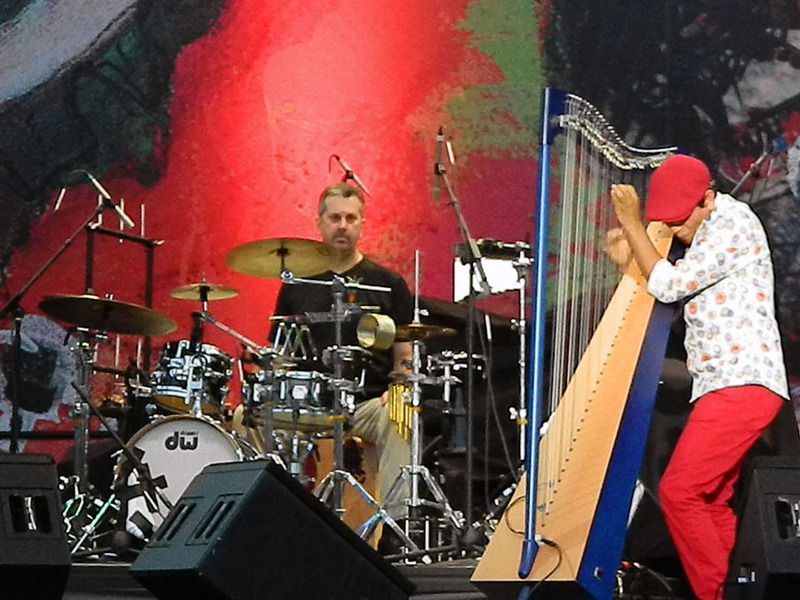 As is was the case with Pedrito Martinez on Friday night, this group: drummer David Silliman, trombonist Marshall Gilkes and the harp of Castañeda (a strange trio setting) sounded so much bigger than just the three members. For the songs “Colibri” and “Canto” singer and Castañeda’s wife Andrea Tierra added her enchanting voice to the mix. 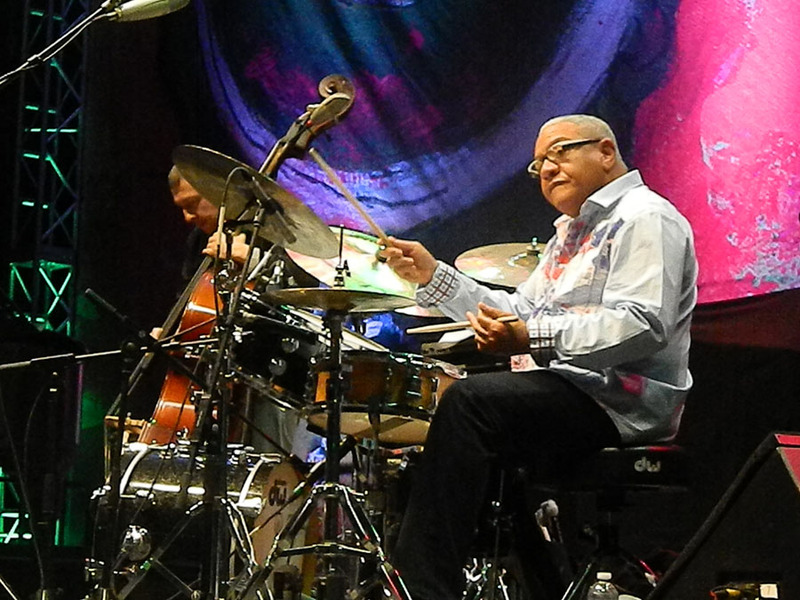 More than a concert, Jorge Laboy’s closing of the Heineken Jazz Fest was a family and friends celebration. 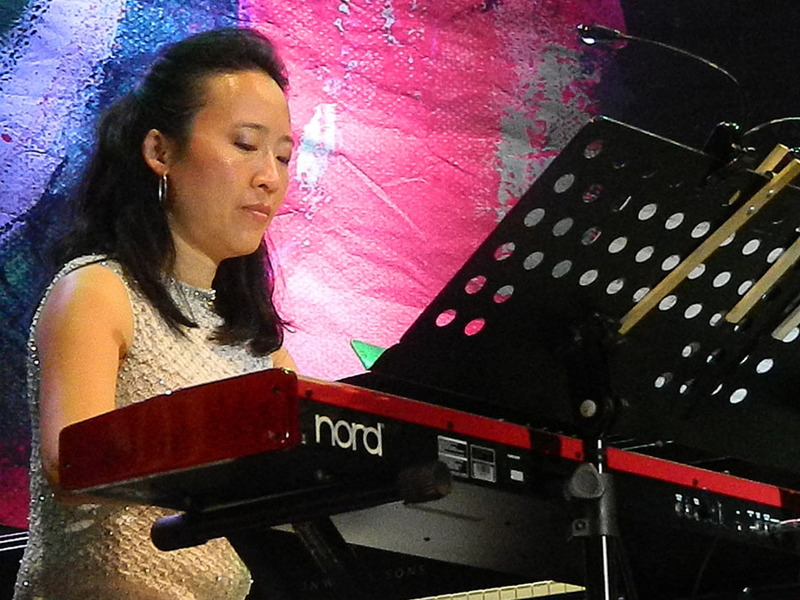 Pianist Amuni Nacer and bassist Junior Irizarry were there at the beginning of Laboy’s career and they were back on Sunday night to accompany him on stage, along with younger musicians, drummer Efrain Martinez, percussionist Gadwin Vargas and Cuatro player Cristian Nieves, guest in “Cañaveral”. Laboy was as good as ever and for the night selected some of his best music, “3am”, “Red Baron”, “New Blue”, “Barranquitas” and “Dr. Funk”. 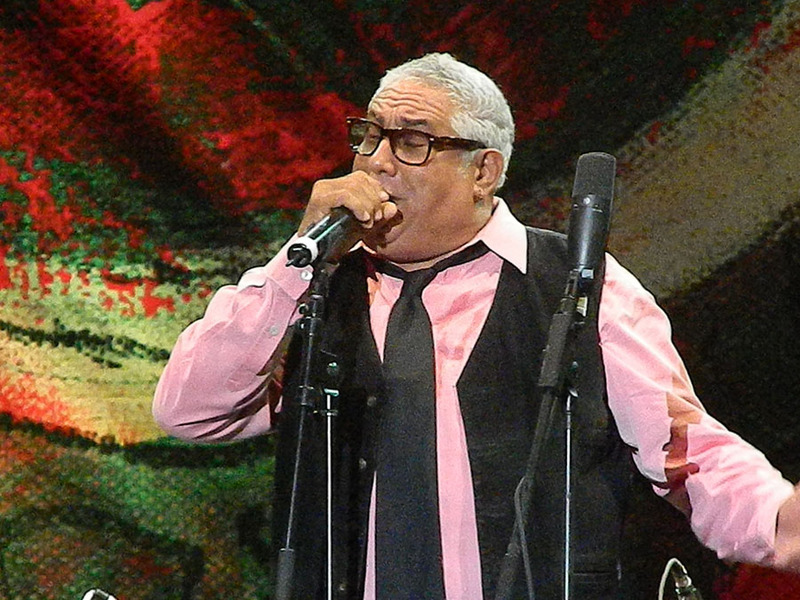 To join in the celebration Laboy invited his wife, singer and manager Ingrid Casanova and his stepson and stepdaughter guitarist Alexander Lespier and singer Isabella Lapetina in the Casanova’s original song “Cielo Mar y Tierra”. And a surprise guest in the song “Besos y Sal”, pop singer Tommy Torres. 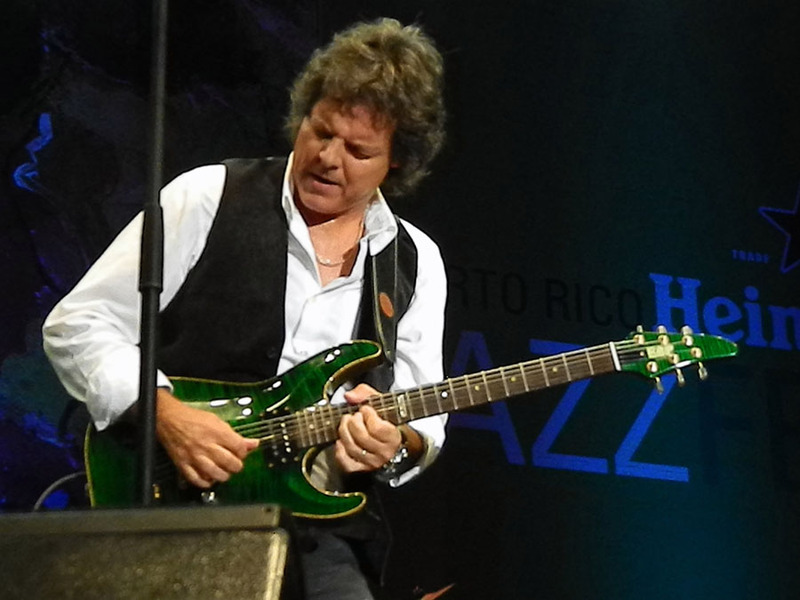 Better than expected 24th edition and a nice preamble to next year big celebration of the 25th edition of the Puerto Rico Heineken Jazz Fest. 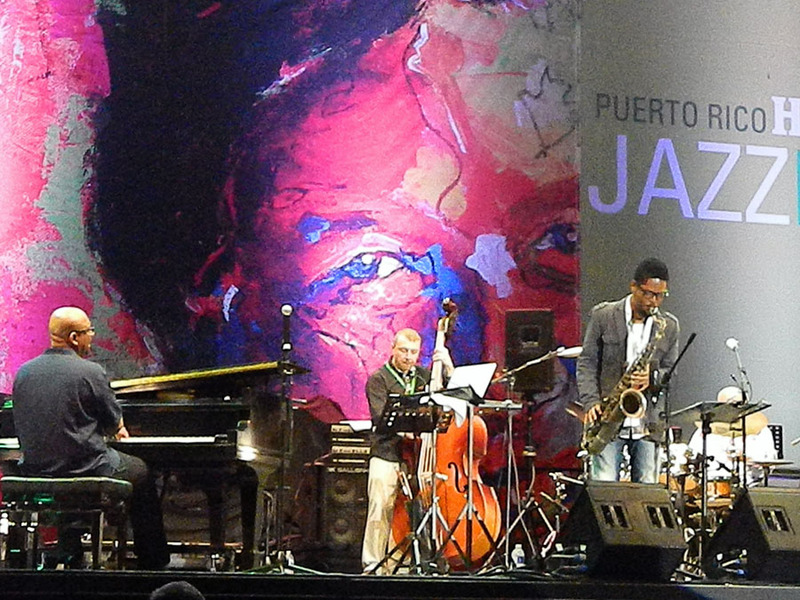 Puerto Rico Jazz aficionados are already waiting for it.